After months of planning, strategizing, and hard work—we are thrilled to announce our new and improved blog is live on the Fastspring site. When we started this project, we had a lot of big ideas for improving the look and feel of the blog. 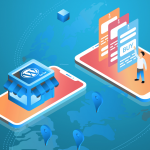 However, we decided to focus our efforts on making sure the FastSpring blog is a go-to resource for the latest ecommerce news, trends, and how-tos to help digital businesses around the world succeed. Our goal is to provide high-quality content in a pleasing experience that will delight readers from all over the world. Our goal here was to provide the optimal user experience for readers to comfortably consume our blog content. We wanted to make sure that no matter how individuals are introduced to FastSpring, they are getting a consistent brand experience at each and every touchpoint—including our blog. To match the new look of the blog, we also looked at the content we are choosing to share. A key area of focus for our team is to make sure we present the benefit of FastSpring in a clear and easy to digest way. The goal of our blog content is to be educational, entertaining, and helpful to all readers. And we will continue to provide the quality content readers need to make informed decisions about the ecommerce experience for their digital business. A new location for the FastSpring blog homepage. Your favorite blog is now at www.fastspring.com/blog. Make sure to save it to your bookmarks folder! Complete migration of blog content from Hubspot to WordPress—we created hundreds of posts over the years, and you can find them all at the new blog. A new homepage and category index pages featuring an easy-to-navigate card layout. Individual posts featuring new fonts and margins for easier reading across all devices. A read time indicator at the beginning of each post so you know what you’re in for when you start reading. Updated information architecture, taxonomy, categories, and tags to make it easier to find exactly what you are interested in. Simplified navigation so you can explore multiple blog posts and return to the homepage at any time. Easy-to-reach social share icons available on every post so you can easily share your favorite posts with friends on Facebook, Twitter, and LinkedIn. 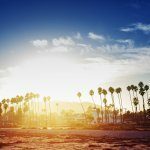 Each post features an author bio so you can get to know a little more about the people creating your favorite blog posts. We are so proud of the changes we’ve made so far, but this isn’t the end. Our team is committed to continually enhancing and improving the blog so it is the best experience possible for our readers. We’d like to thank our readers and customers for joining us for the ride. Don’t forget to subscribe to the FastSpring blog to be the first to know when the latest post is live!